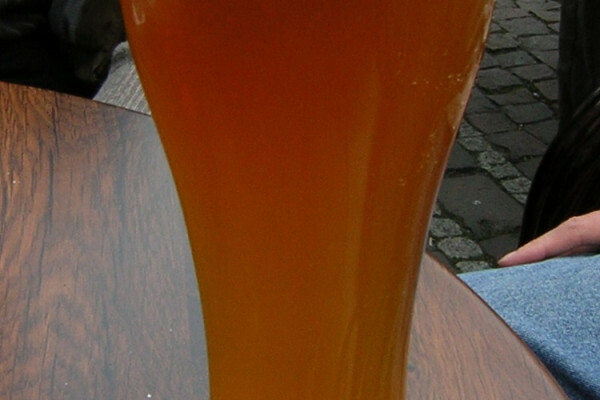 Scientists at Yale university have been studying the family tree of the yeasts which are used to brew Lagers. To do this they have been studying the DNA of the yeasts used to make both modern beers, and that preserved in yeasts up to 130 years old. They discovered that there are two major families of yeasts, those which are used to brew "Saaz" beers such as Pilsner and Budweiser, and yeasts used to "Frohberg" beers such as Heineken and Orangeboom. Both families are thought to be the consequence of the Bavarian legal system. In the 15th century it was made illegal to brew beer in the summer, as the the beer was always ruined by the high temperatures, so all the brewing was done in the frigid winters. Conventional brewing yeast, S. cervisiae does not survive well at these temperatures, and yeasts which survive well don't produce much alcohol. Fortuitously though at some point in this period brewing yeast interbred with S. bayanus, which thrives at low temperatures, not once but twice. The Saarz yeast is a conventional hybrid with one set of chromosome from each parent, but the Frohberg yeast is triploid with a second set of Brewer's yeast chromosomes. They found that neither strain had lost much of the low temperature genome, and both had several copies of the genes vital for fermentation such as those to split up maltose into glucose. This research is interesting but unfortunately it is very hard to do genetic manipulation on these yeasts as they are both sterile and can only reproduce by making clones of themselves. So it is unlikely that it will have any direct effect on the beer in your local pub, although in the future it may be possibly to make hybrids of other yeasts to make a more interesting pint.